Usually whenever I go away, I tend to run out of outfits by day two, despite intensive planning before leaving, and wear Beth's tops instead of the four or five I've packed myself. Of course this isn't ideal, because then Beth is short of outfits and I've packed unnecessary stuff, taking up space that could be filled with a Sephora haul. Oh I love a good Sephora trip when I go abroad... But anyway, this post is about vacation outfits, not skincare. 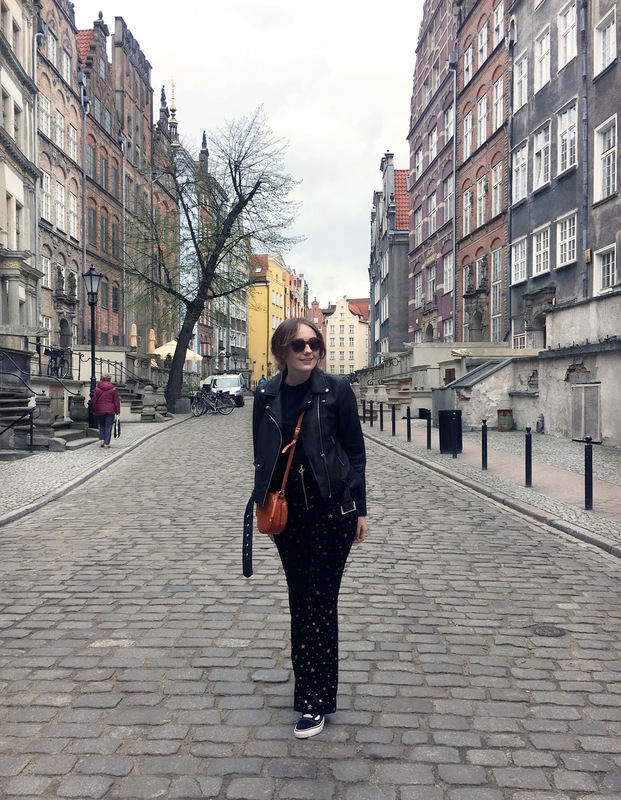 For the first time in a long time, I was actually happy with the outfits I packed for my short European city break to Gdansk, Poland, last week. 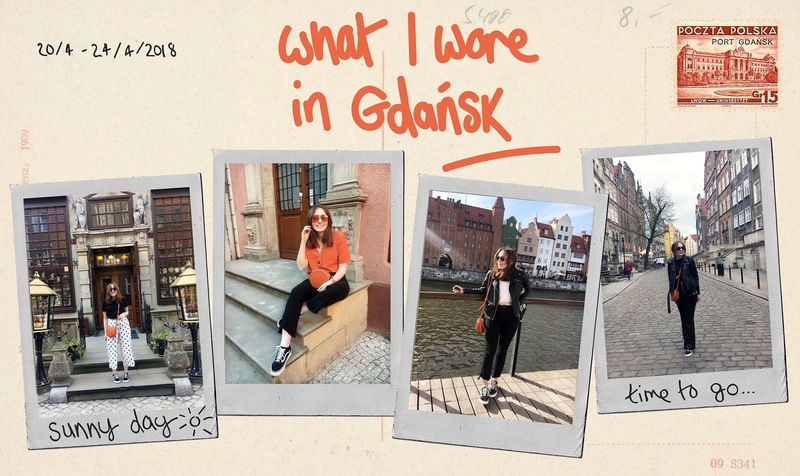 That's why I'm sharing what I wore in Gdansk, hopefully bringing you some holiday outfit ideas for your next trip. day 1 Our first day in Gdansk was a hot one. Many of you reading may laugh at me saying 22 degrees is hot, but hey, I'm from the UK where it is grey 90% of the time, so we made the most of it and went out without jackets. I know. Big deal. 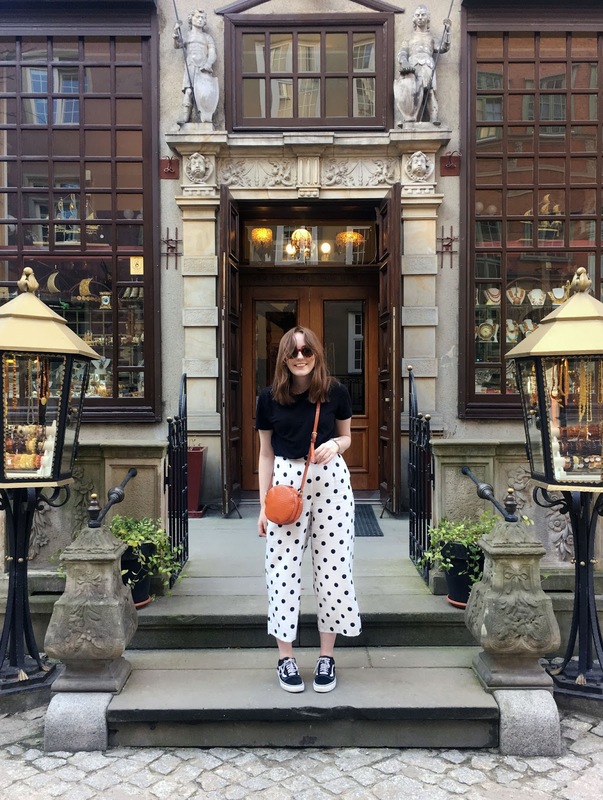 In all the excitement, I debuted my new Topshop polka dot culottes which I showed on my Instagram a week or two ago. These definitely need lining for everyday wear in the city, but I couldn't wait, plus they go so well with a plain black t-shirt. Throw in my old skool vans and shades and it's a really cool look. Now, if only Liverpool could have some better weather so I can rock this look again soon? day 2 Another day, another Topshop purchase. Here, I'm wearing my new asymmetric button down blouse, which is also available in khaki, pink and blue. I did have to put a little stitch in this, but if you size down, you should be okay. 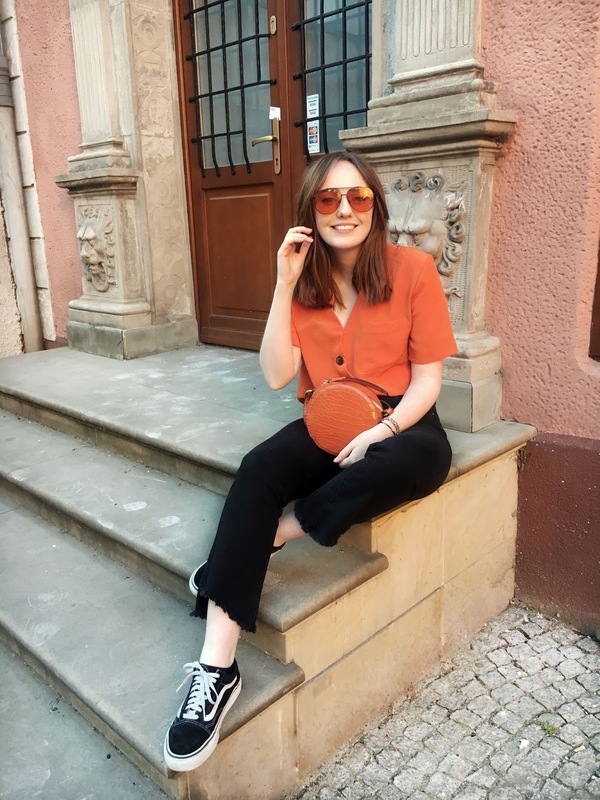 As you might know I'm really feeling burned orange at the moment, so paired this blouse with my trusty Next circle bag and my second favourite pair of jeans, my kick flares from Pull and Bear. Oh, and those 70s style orange aviators, of course. day 4 Last but not least, my airport outfit. I could honestly do a whole other post on outfits to travel in, because there's a science to it, believe it or not, but let's keep it short and sweet for now. 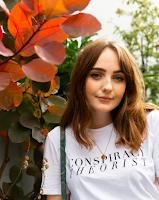 I'm rewearing the black t-shirt from day 1 (you will have to re-wear clothes if you're packing for a city break, especially if you're only taking hand luggage!) and keeping it sassy but comfy in my star print flared trousers. These Topshop babies you might remember from my New Years outfit post are long sold out, but good news, ASOS are stocking some similar. Comfort is key when travelling, but that doesn't mean you have to sacrifice when it comes to style, right? All in all, for a four night European city break in Gdansk, I packed one jumper, one jacket, one t-shirt, one blouse, (ok, I stole one t-shirt from Beth), 3 pairs of pants and one pair of shoes. I could have knocked that down to two pairs of pants, but as I said, I couldn't keep those polka dot pants in the wardrobe any longer. It just goes to show, you don't need to pack everything but the kitchen sink to vary your looks on vacation. In fact, I've been thinking of doing a more in depth post on how to pack for a European city break. Would you like to see that? Let me know! You look amazing Allie! Glad you enjoyed Gdansk! I visited some family over there a few years ago and it's such a lovely town! 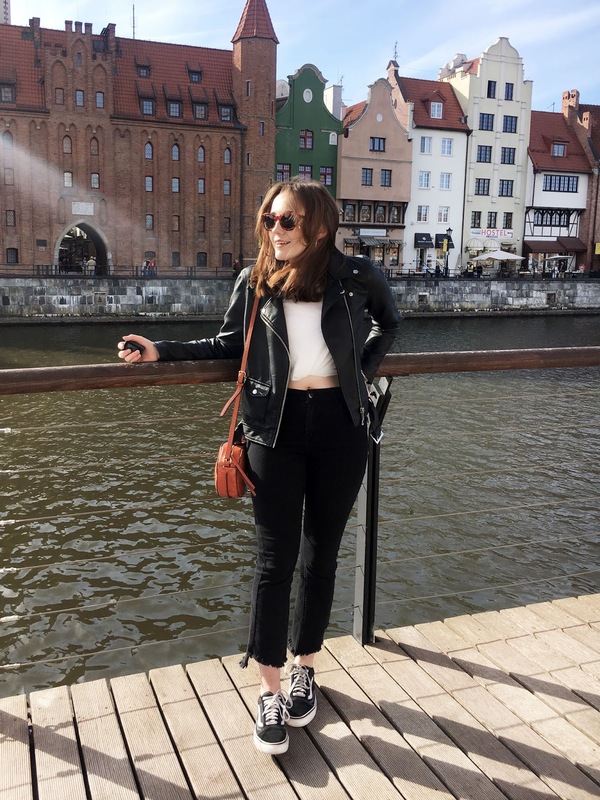 Love your blog Allie, I visited Gdansk during Christmas time but would love to go back when it's a bit warmer - I still loved it there though! I was wondering what you use to do your illustrations on your photographs, they're so fun! Thanks so much! It is beautiful there, isn't it?